Tami Wolfe is an experienced trial attorney who has practiced law in Broward County for 25 years. Prior to her arrival at KALIS & KLEIMAN she was the Senior Litigating Attorney and Managing Partner of a litigation law firm. She joined KALIS, KLEIMAN & WOLFE in 2015. Ms. Wolfe concentrates in the litigation and trial of significant negligence cases involving Automobile Accidents, Premise Liability, Negligent Security, Wrongful Death, Catastrophic Brain and Spinal Cord injuries, Medical Malpractice and Nursing Home Liability. She also practices Qui Tam Law under the False Claims Act which authorizes private citizens with information about fraud against the government to initiate a civil action on the government’s behalf aiding the government in redressing fraud. When first entering private practice, Ms. Wolfe worked for a prominent defense firm representing insurance companies. After gaining invaluable experience working on the defense side, Ms. Wolfe realized her passion was more aligned with seeking justice for accident victims and injured people. Growing up in Florida, Ms. Wolfe obtained her B.A. in Psychology from Florida Atlantic University and earned her law degree from Nova Southeastern University – Shepard Broad Law Center. Ms. Wolfe is admitted to practice in all County and Circuit Courts in the State of Florida and the United States District Court, Southern District of Florida as well as the United States Court of Appeals for the Eleventh Circuit. 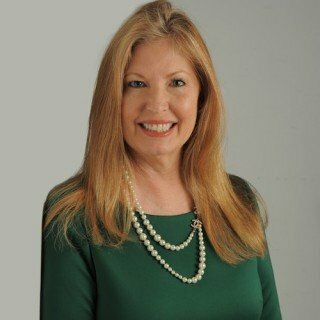 She has been actively involved within the Florida legal community and is a member of The Florida Bar, the Broward County Bar Association, the American Association for Justice, and the Florida Association for Women Lawyers and the Broward County Women Lawyers Association.